The Alte Pinakothek, opened in 1836 as one of the early free-standing museum buildings in Europe, has a rich and diversified history. The innovative aspect of this contribution is the reconstruction of the building history with focus on its technicals aspects. This turns the Alte Pinakothek also into a vivid example for the influence of developments in science and engineering on the “museum world” with its specification for the preservation of works of art—and vice versa. 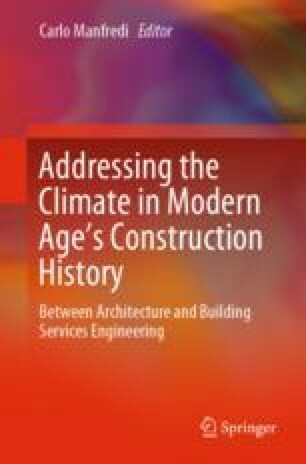 More than 175 years history of past approaches with specific technical solutions demonstrate the complex interactions between the architectural concept, the building envelope and the site specific conditions. These considerations are complemented by hygro-thermal modelling and light simulations which for the first time document the development of historic conditions influencing the preservation of works of art. By analysing the simulations of historic conditions, the efficacy of simple technical interventions of the past is revealed and contributes to future perspectives in museum architecture.